SEO Phoenix (Search Engine Optimization) is the process of making your website more visible by building an online presence in regards to the search engines. There are 3 main components that affect your online presence and website ranking. On page optimization, off page optimization and social presence. These are the 3 core website ranking factors that can help or hinder your website. A recent post on Search Engine Journal highlighted that 75% of users never scroll past the first page. This means if your customer searched for a service or product that you offer, but you are not optimizing for, you will not get chosen over your competition and you are loosing out on potential traffic. In today’s market for optimizing your website, your on-page optimization is instrumental and key to help rank your website. There are many areas of onpage optimization that need to be checked over and address areas that need to be corrected. Your onpage optimization is now 60% of your overall SEO rankings and increasing your traffic gain. In this day and age we focus on your brand and obtaining high quality links from different types of platforms in order to help your website succeed. We build a strong foundation with a Shield Wall a Press Release and then we continue to build from there. Your offpage optimization is all about having a strong content syndication strategy with engaging relevant content, backlinks and social signals. The major search engines are now looking even more heavily on user engagement and social media as part of the algorithm. We help you build a strong brand and social media presence posting to the major social platforms to increase likes, shares and tweets. We have different package levels for our Social Media campaigns. 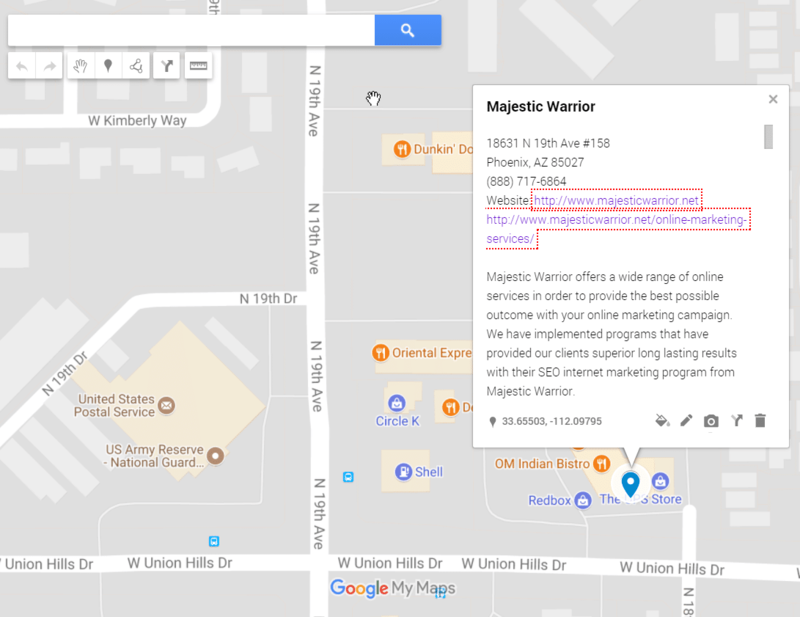 Through extensive research and market analysis, Majestic Warrior has a streamlined process to help our clients optimization efforts help other online marketing campaigns they may have. Since we know how to design conversion friendly and optimized websites, we use these skills to help your existing website perform better. There are many components to creating an effective on page optimized website. We utilize many different techniques in order to make this process effective. One of the most recent changes has been to content. I am sure you have heard the phrase “content is king.” Google sure does and having good, relevant content to each page will provide a good user experience to your potential customers which can provide better rankings. Through the content you want to have a good linking structure between the pages. Your website optimization of your website represents about 60-70% of SEO today. As an experienced SEO Expert in Phoenix we know and understand how to develop a good content marketing campaign to help your company stand out. 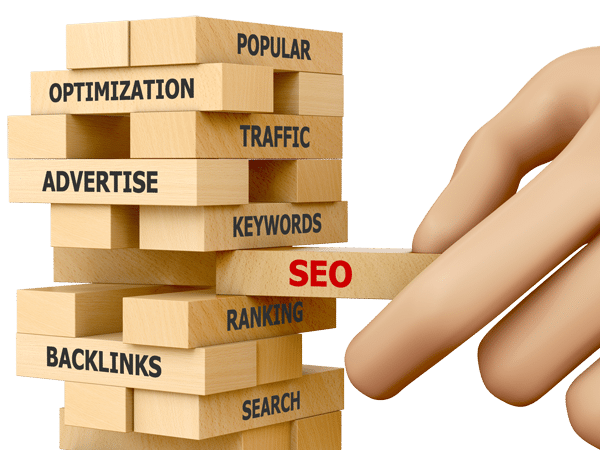 We take the building blocks of SEO and through testing and research have developed a systematic approach to help you with your online marketing goals. Local search engine optimization and local maps now are aligned and part of the same ranking system. There are some components that still set them apart like citation building. As an SEO company, we help you with both components to optimize your website. 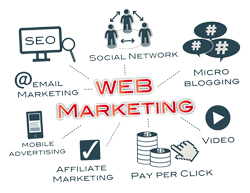 We utilize SEO best practices, link diversity and industry related links when we are building and gaining links to the main website and branded network. As an SEO Agency our team builds high quality links that will benefit your website. Adding additional pages to your site or monthly blog posts into a silo will help over time in creating an authority website. Having an authoritative website is a good way to help your website rank higher in the search engines. This constant flow of adding additional content into your website is what the Search Engines want to see. This in turn can help you rank higher and acquire more clients for your business. The major search engines are changing and tweaking their algorithms on a consistent basis to provide a better user experience. One of those areas that is now affecting your rankings is your social engagement online with Facebook, Twitter, Linked In, Pinterest, Tumblr and Mashable to name a few. You can also check out our lead generation information and how we can provide more leads to your business from other sources. We analyze the core pages of your website and check each pages health, backlinks and social indicators. There will be a clear path on some steps to take to improve your website pages search engine optimization performance. With each website/client we work with it is important to understand their target marketing and keyword phrases clients will be searching to find their products and services. We do an in depth analysis of target keywords and keyword phrases. We analyze many different aspects of your your backlinks that are pointing to your website. We use tools like Ahrefs, MajesticSEO and Moz to determine the quality of the links and to look at your anchor text backlink profile. Our goal is to not only increase your rankings, but to also drive qualified traffic to your website. 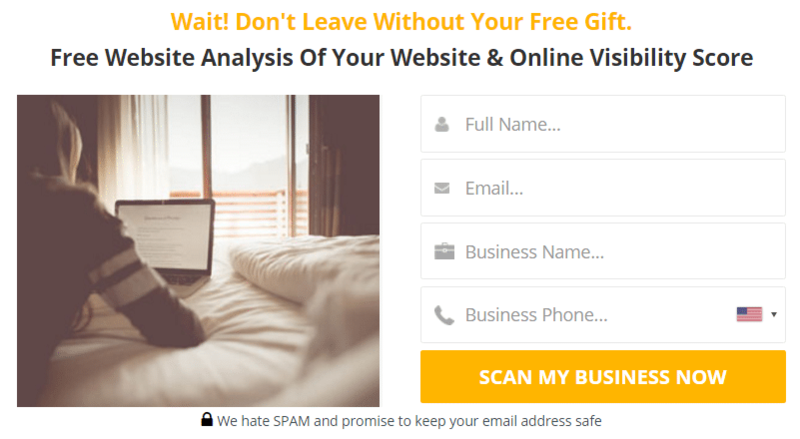 We will integrate webmaster tools and Google Analytics with your website to track your websites traffic performance and key performance indicators. We create a content marketing & content syndication strategy to work alongside our link building & link earning efforts to provide our clients with a stronger online presence. This process produces a higher authority and trust flow for your website. We track your performance daily, weekly and monthly to ensure your keyword phrases that we are targeting are performing and increasing in rank. We email you monthly keyword tracking reports to keep you well informed of your progress. There are 4 steps we take in the first month to start your SEO foundation. This gives you an idea on our website optimization timeline and the steps we take to enhance your websites performance on both maps optimization and SEO. Each and every websites results will vary and be different. Also this is a timeline based on an aggressive budget and the program can vary based on your budget and investment. Most websites will start to see some traction around the 3rd to 4th month, but in really competitive industries, you should expect 6-9 months.